1. My new laptop sleeve from Marc by Marc Jacobs and a new scarf I got from Mart. A Beautiful printed scarf, so I can take it off my wishlist. 2. 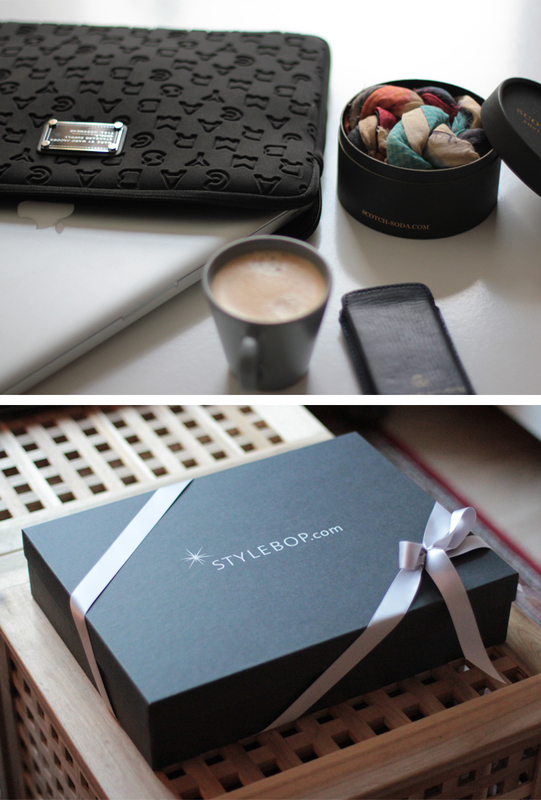 This is how my new laptop sleeve was delivered, beautiful wrapped in foil paper and put into a giftbox. 3. 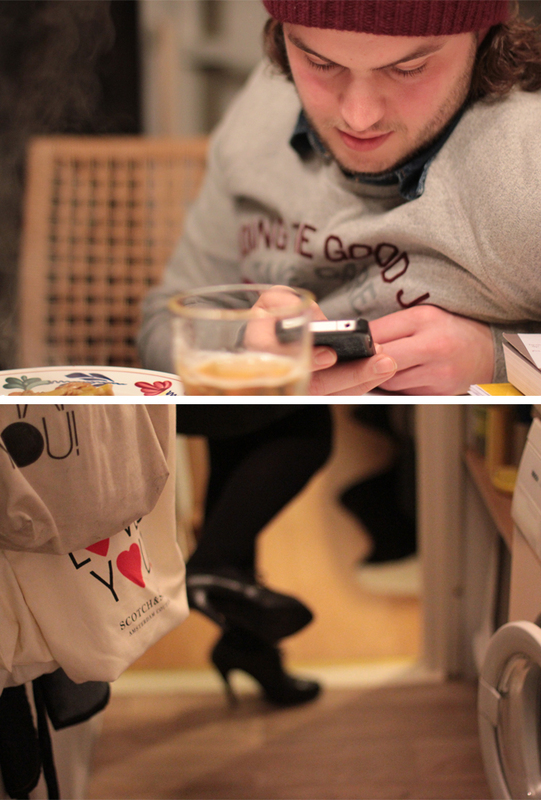 Mart during a dinner with friends last week, busy with his phone. 4. Me in the kitchen, cooking dinner while wearing heels. 5. 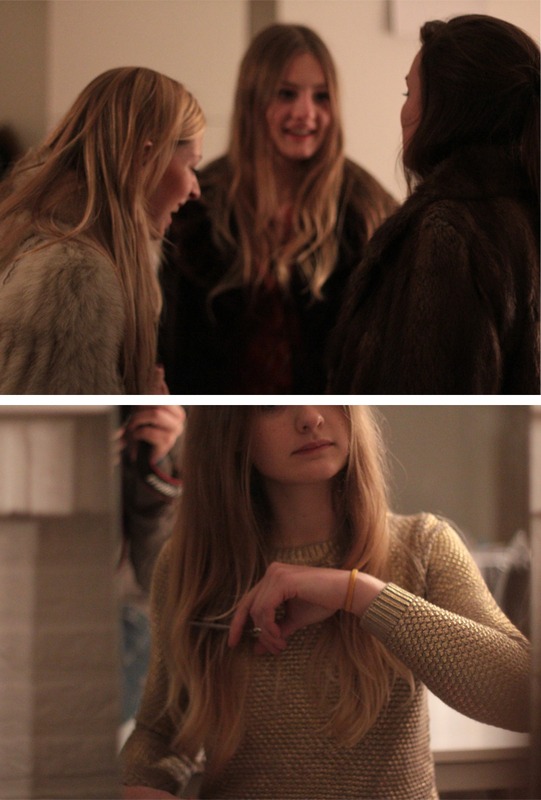 With Marlot and Mascha posing in my furcoats, find more photos here. I'm voting for red tone ! ^^ I love beeing brunet/red head. Cute newbies you got, and the photo of girls & coats is so fun too. These are some great shots you got here! You look beautiful and so does your hair!! Curious to see what you'll decide, chop or dye it. I'm thinking about cutting my hair for a while now, but am to scared to actually do so! WOW, I love that MJ sleeve! Ps. would you like to follow each other via fb / bloglovin? Let me know, would mean a lot to me:)! Oooh I want that macbook case! I love that laptop case! You take such beautiful photos!